Tauranga based husband and wife folk duo Paper Cranes are performing at the 2018 Festival One. 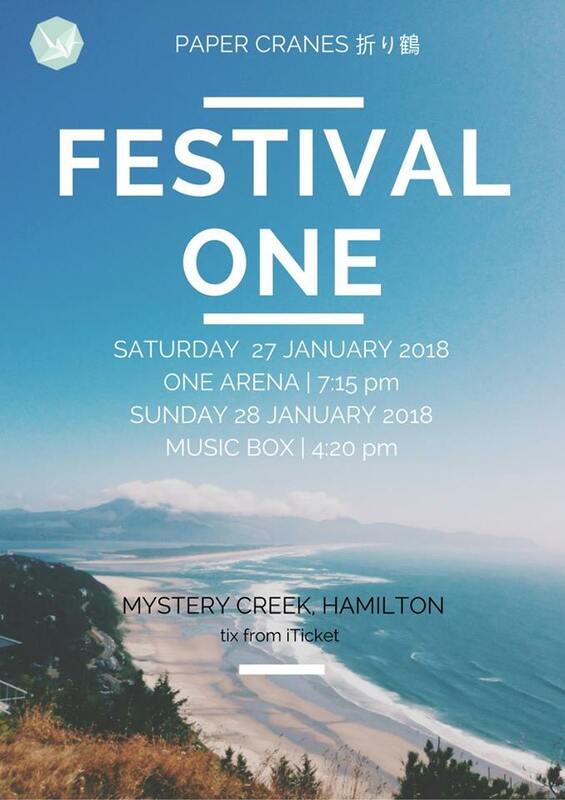 Festival One is multi-day Christian Festival held at Mystery Creek, Hamilton from the 26th to the 29th January. Festival One is in its fourth year and hosts a broad range of fantastic artists and lots of opportunities for the creative arts. Paper Cranes are performing on Saturday the 27th at One Arena from 7.15pm and on Sunday the 28th at the Music Box from 4.20pm. To listen to Paper Cranes head to the Songbroker Search Engine.